Great eye health begins with preventative eye exams. It is easy to take care of your eyes with regular exams. Call today. Call us for an appointment today Your future suddenly became a whole lot clearer. We're so happy that you've chosen to visit the official website for Villa Optometry, your trusted optometrist in Chula Vista CA. If you've been looking for an optometrist near you who can provide the wide-ranging, high-quality eye care your family needs, you've come to the right place! Our eye doctor, Dr. Angelica Villa, can look after every aspect of your primary eye care needs for your whole family, from glasses and contact lenses to LASIK and eye health evaluations. Just as your family doctor develops a deep understanding of your health and wellness needs in visit after visit, your eye doctor can serve as an important resource for your family's ocular well-being. Developing a long-term relationship with an optometrist near you, like Dr. Angelica Villa, is critical to that process. We can advise you on best practices for taking care of your eyes for life. Our proactive approach to preventative care can help us catch serious eye issues early enough to treat them successfully. 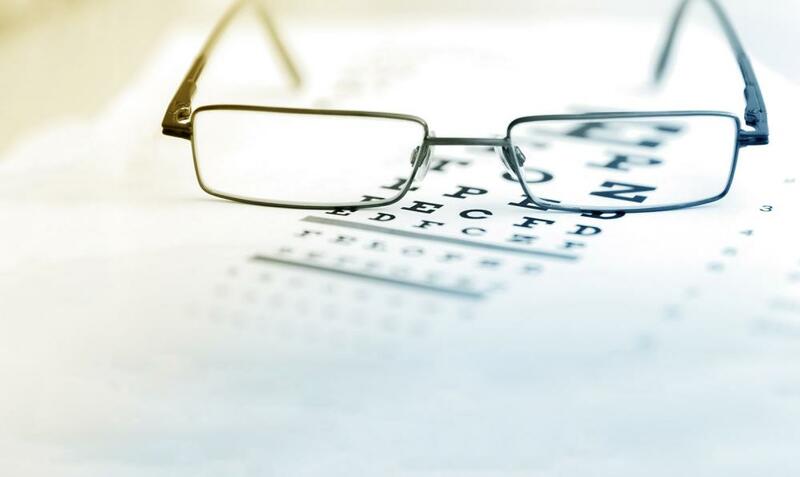 Comprehensive Eye Exam - Our comprehensive eye exam includes eye health evaluation, eye focusing, eye teaming, and eye movement testing in addition to visual acuity and refraction to determine if a prescription is needed. Glasses and Sunglasses - We can fit you with the ideal eyeglasses for your prescription, face and stylistic preferences. We also provide prescription sunglasses that protect your eyes from dangerous UV rays and safety glasses for sports or work. Contact Lenses – Our thorough contact lens evaluation allows us to fit you with the ideal contact lenses for your needs. We also offer colored contact lenses to change or enhance your natural eye color. Hard to Fit Contacts - Astigmatism, presbyopia, dry eye, keratoconus and other complicating factors can make contact lens wear more challenging. We offer toric lenses, multifocal lenses, hybrid lenses and other specialty contacts. Eye Disease Treatment - Many harmful eye diseases have no obvious signs or symptoms, so you may not realize a problem exists. Evaluation for dry eye syndrome, macular degeneration, diabetic eye disease, glaucoma, and cataracts is crucial, as early diagnosis and treatment of eye disease can help prevent vision loss. Computer Vision Treatment - Our computer vision treatment can relieve you from the dryness, irritation and vision problems caused by heavy use of digital display devices. LASIK Evaluation - If you're interested in LASIK surgery instead of glasses or contacts, we can perform a LASIK evaluation to determine whether you're a good candidate. We work with the best surgeons in San Diego to co-manage your vision correction surgery to ensure the best outcome possible. Pediatric eye care – It is especially important to evaluate children’s vision because their visual system and eyes are still developing. Detecting any deficiencies early on will ensure that children have the tools needed to succeed in school and later in life. We can administer eye exams to children as young as 6 months of age to evaluate any eye problems that might impair their safety, coordination, and development. Come Visit Our Eye Doctor in Chula Vista CA Today! Contact us at (619) 482-2020 to arrange an initial visit at Villa Optometry. Our optometrist in Chula Vista CA looks forward to seeing you! Dr. Angelica Villa, O.D. is a second-generation optometrist in Chula Vista, CA. As such, she was raised with a passion for this type of medicine. to let us know how we are doing. "Dr. Villa and her team are very professional and offer the best services money can buy. They provide great customer service and clearly explain all the options."